Findings Suggest Precision-Geometric Quartz Treated Water Significantly Accelerates Growth, Improves Immunity in Biological Systems. 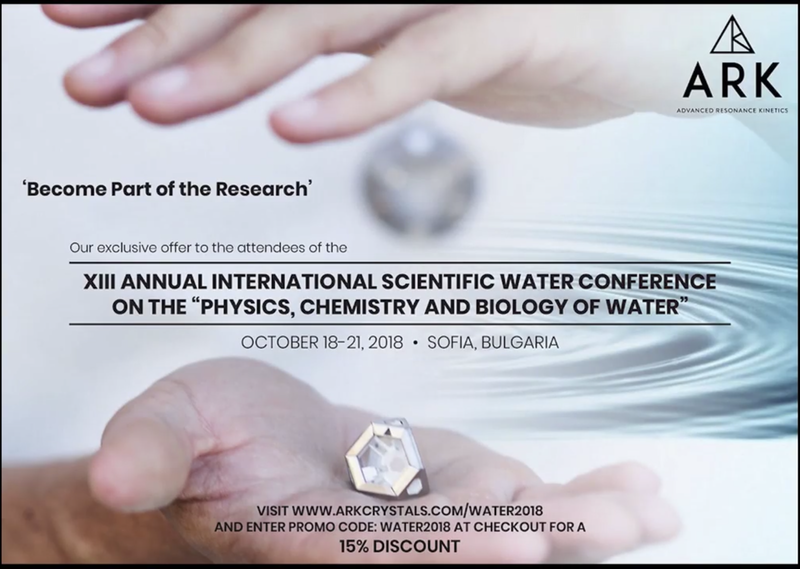 ORANGE COUNTY, Calif., Oct. 17, 2018 /PRNewswire/ -- TorusTech, a specialized research and development company, will present new research findings regarding the capability of precision-geometric quartz crystal treated water to accelerate growth in organisms significantly to be presented at the Thirteenth Annual Water Conference in Sofia, Bulgaria October 18-21. New findings are summarized in a research paper, "Electromagnetically modulated precision geometry quartz: Quantification of Effects on Electrochemical Properties of Water," which was published in October 2018 by Torus Tech. The research illustrates the electrochemical impedance spectroscopy of water treated with precision designed synthetic quartz crystals. Previous studies on this topic have indicated that some physical properties of water are influenced when placed in proximity to precision-geometric quartz (PGQ) that have been activated with specific modulated electromagnetic fields (PGQmem). Nassim Haramein, Chief Executive Officer of Torus Tech is the lead author of the paper, which will be part of the oral exhibition presentation by Scott Brown, Chief Technology Officer; William Brown, Biophysicist and research scientist; and Jeremy Pfeiffer, consulting research scientist, at the event on October 20th. In testing with living organisms given water treated with PGQmem, Torus Tech found that there were significant improvements in key markers of vitality, such as increased growth rates and improved immunity to pathogens. "Water is the medium and language of life," said Haramein. "Understanding the unusual properties of water down to the intra- and intermolecular level will reveal greater insight into the nature of this vital substance." Haramein investigated specific changes in the properties of water when exposed to the PGQmem. Torus Tech analyzed the impedance response of water across a broad spectrum of oscillating frequencies using an electrochemical impedance spectrometer. Differences in impedance between PGQmem treated water and untreated water control samples revealed a key change in the electrochemical property of water known as self-ionization. Water treated with PGQmem d­emonstrated increased conductivity theorized from greater proton mobility (self-ionization): a change in the water that may increase its ability to facilitate the transfer of energy, charge, and signals in the biological system. 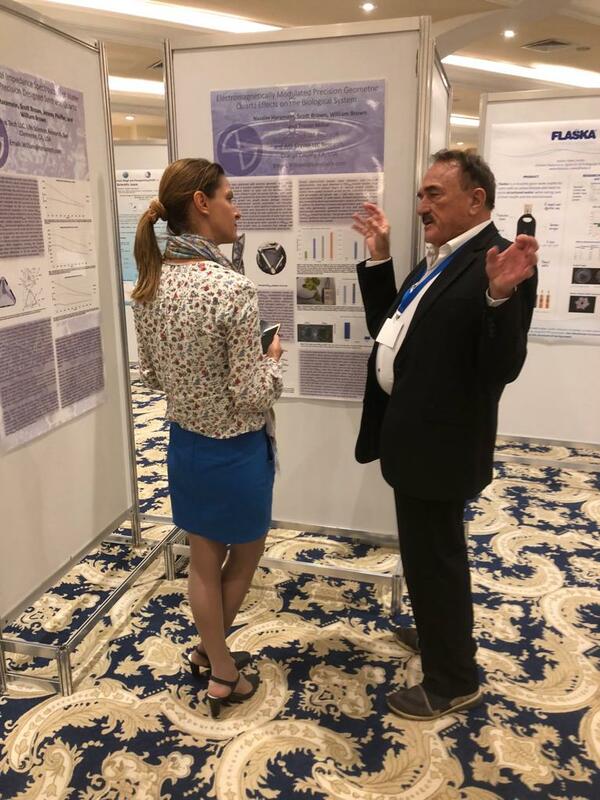 The conference will feature the research brought by scientists investigating many aspects of water to share this knowledge with the global scientific community as well as to a demographic interested in scientific advancements. The conference is chaired by Gerald Pollack, Professor of Bioengineering, University of Washington; Chief editor of Journal "Water"; Executive Director of the Institute for Venture Science, and author of 8 books and more than 300 papers. The conference will also feature presentations from leading scientists including Luc Antoine Montagnier, a French virologist and joint recipient of the 2008 Nobel Prize in Physiology. At 6 hour 50 minutes is the Presentation and live demonstration of ARK Crystals. Streaming Live Explore NEW Water Science, Oct 18-21, Coming to you from Sofia, Bulgaria, your Spa Destination The Conference on the Physics, Chemistry and Biology of water presents 27 international scientists advancing progressive ideas that will change our world and your view of Water. Chairman Dr. Gerald Pollack from University of Washington, Seattle, opened the lectures by presenting Nobel Laureate Prof. Luc Montagnier. Co-founder of the World Foundation for Medical Research and Prevention. He introduced a highly sensitive method for detecting infections like Lyme, when usual Lab tests like serology and classical PCR (Polymerase chain reaction) fail. QuanticPCR uses the unique properties of water to store or even amplify specific pathogen-derived frequencies and is proving experimental evidence for the homeopathic principle of diluting without dilution of the contained information. The mechanism how PCR exactly works is commonly known to be not well understood. Giuseppe Vitiello presented a way to describe the bio-chemical reaction and its basics in physical terms. We have recently posted news about the vaporization of water droplets and their unique shapes. In these kinds of experiments, a huge difference can be seen in different individuals making the droplets. Masaru Emoto is also known for visualizing the structuring of water under different external influences. 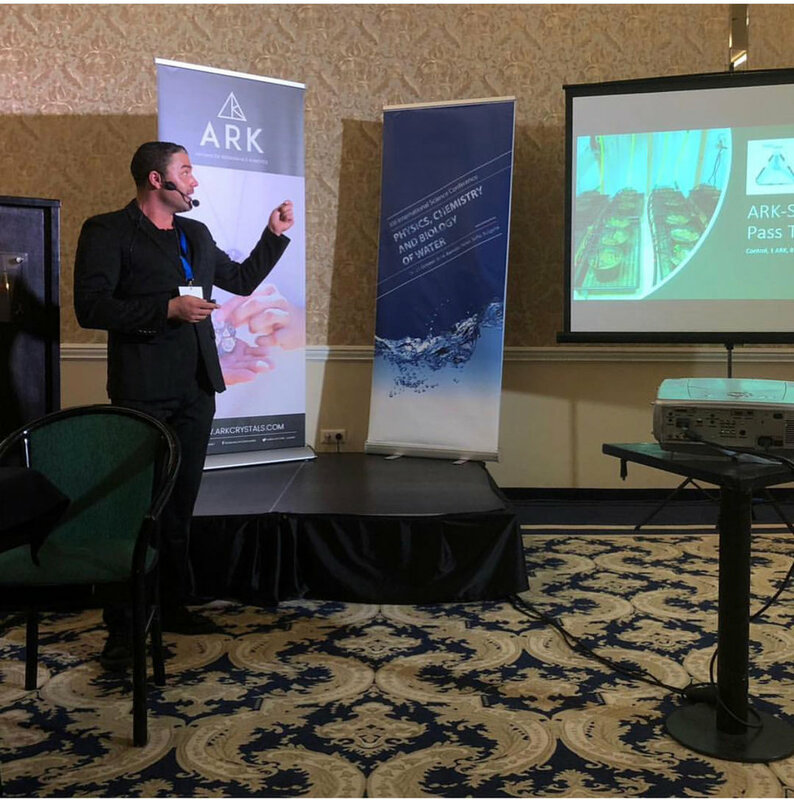 We are interested in the mechanism of information transfer to water and found in our research on the ARKCrystals that even short contact of water with the crystals has a significant impact on plant growth and vitality. TorusTech Labs presented the scientific findings on a poster at the conference and even reproduced the measurements on impedance in a live workshop. Most of the lectures given supported the concept of “Memory of Water”. However, the detectability of this memory, with physical or chemical methods, is topic of a huge discussion. Most researchers found stable electromagnetic changes/signals for not more than days. However, my clinical experience contradicts these measurements and the Space Memory Network would allow for a much more long-lasting entanglement and information exchange of protons to specific frequencies/harmonies. Further experiments on the clinical observations are needed. There seems to be confusion about the homeopathic term “succussion”, which is translated as shaking. The founder of Homeopathy Samuel Hahnemann discovered an effect due to the succussion of the diluted samples. When you take a bottle with water and you kind of slam it with the bottom on a leather saddle, you can monitor a perfect vorticular motion in the liquid afterwards, holding it still while the water spirals. Prof. Montagnier showed two conditions needed for the induction of information transfer in watery dilutions: an ambient electromagnetic field and a vorticular agitation. I would like to point out that we might have gotten lost in translation here, and that succussion may be the simplest way to agitate your drinking water in the proximity of the ARKCrystal. A scientific evaluation would be great on this unifying hypothesis. A remarkable achievement has been realized in the field of crystal technology with the first-ever development of the Advanced Resonance Kinetics (ARK®) crystal. 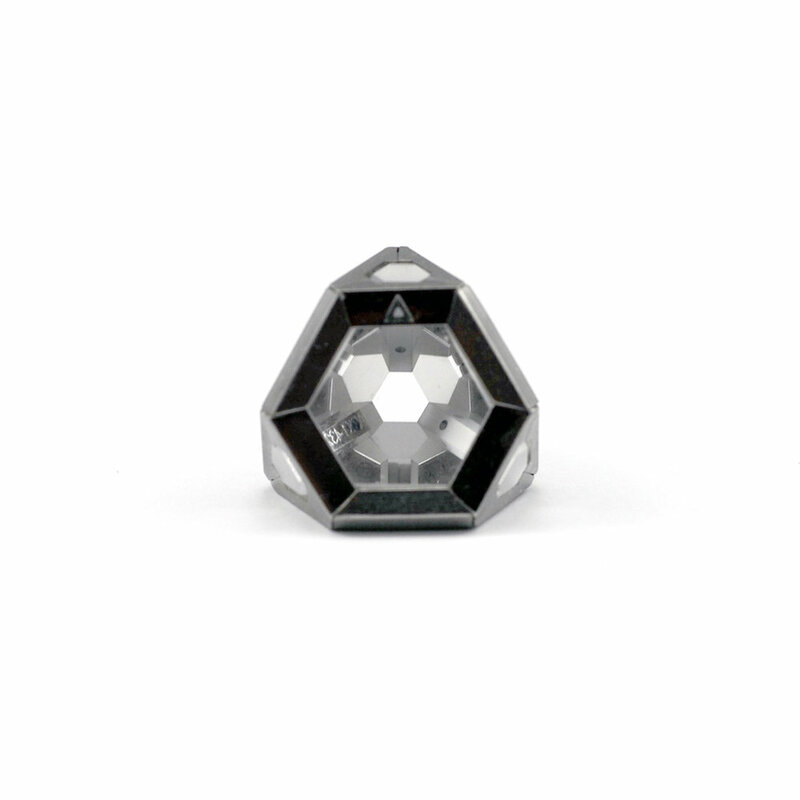 ARK®crystals are precision engineered to specifically interact with the zero-point dynamics of the vacuum to link with and harness the energy and information of this primary quantum field. 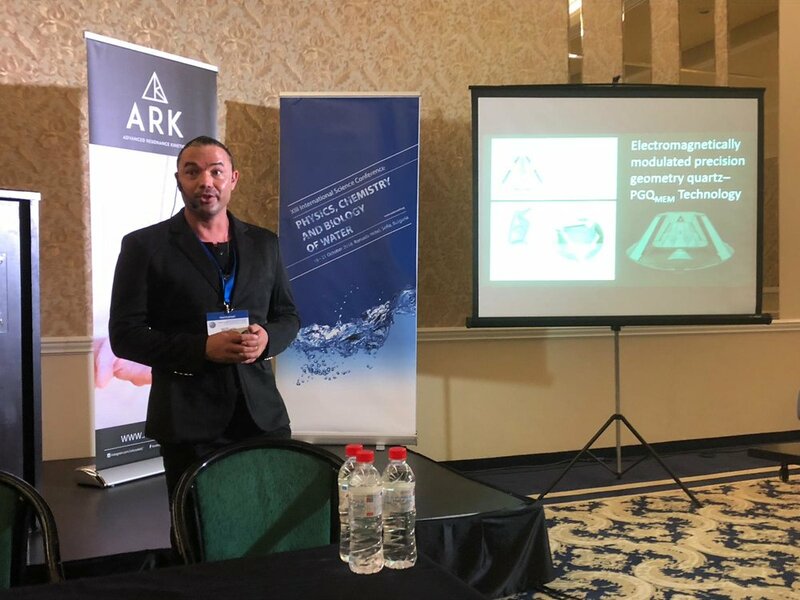 Empirical investigations have demonstrated the high efficacy of this resonance-based technology: ARK®crystals have been shown to have significant effects on water structuring, increasing system coherence, and optimizing biology for growth and vitality. ARK® crystals have been precision engineered so that they will couple to vacuum fluctuations when brought into molecular harmonic resonance interactions via the acoustic, electromechanical, and electromagnetic plasma oscillator of the Harmonic Flux Resonator. Following the unified physics principles of inventor and physicist Nassim Haramein, a precise dimensional ratio was found in which the tetrahedral ARK® crystals would form optimal harmonic resonances with vacuum-coupling acoustic and electromagnetic frequencies. These structural and dimensional characteristics appear to endow the ARK® crystals with a profound ability to link with the nonlocal entanglement network and energetic dynamics of the quantum vacuum. ARK® crystal technology represents a distillation and refinement of this natural beneficial interrelationship of quartz and water. Extensive testing of ARK® crystals shows that there is a significant interaction that gives water a supercharged effect, resulting in up to 200% greater growth rate of plants, immune boosting resistance to disease, and improvements in numerous markers of health and wellness. ARK® crystal technology harnesses vacuum energy to bestow increased health and life-supporting qualities of water. High purity, laboratory grown quartz, precisely cut, and treated with a modulated rotating electromagnetic field (MEM). After oscillation of the piezoelectric axis with the MEM, continuous excitations of the quantized EM field are driven by the precision-geometric quartz crystal. A sophisticated system of magnets and bumpers encompassed within a carefully crafted CP4 grade titanium assembly, suspends and protects your crystal and allows it to be joined to others and secured to accessories, such as the pendant included with your purchase. 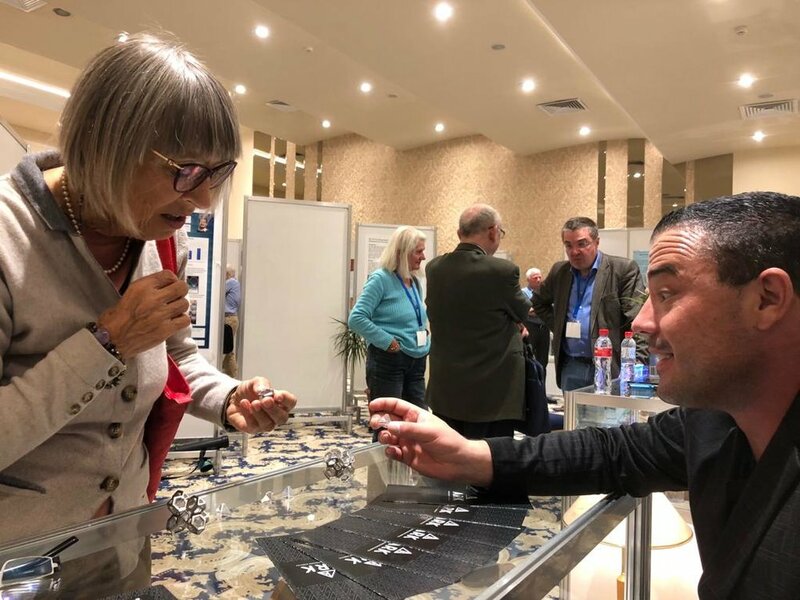 The titanium pendant, engineered to precisely and magnetically secure the crystal, includes an adjustable length titanium chain, enabling users to wear the ARK® technology. 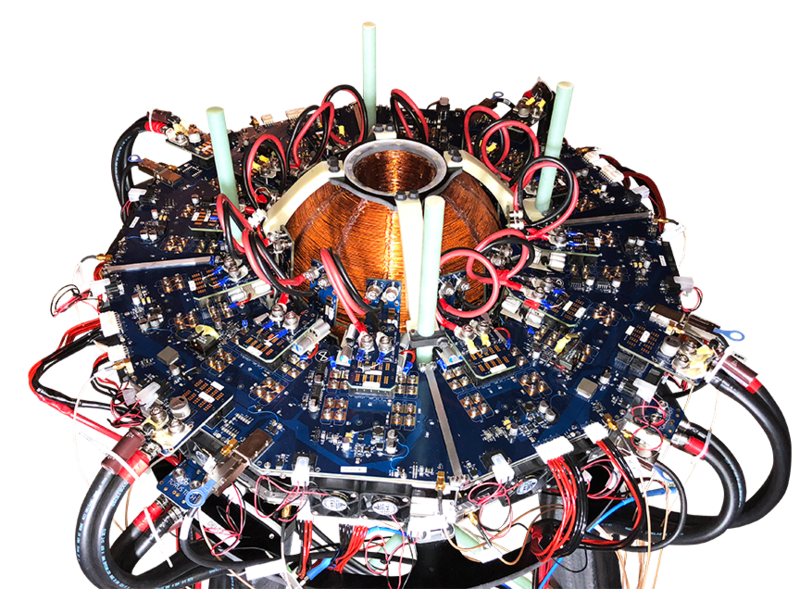 An electromagnetic-resonance generator designed by Torus Tech LLC— referred to as the Harmonic Flux Resonator (HFR)—was utilized in treating the quartz crystals with a uniquely circularly modulated EM field, causing oscillation of the piezoelectric (electromechanical) axis of the ARK® crystals. Quartz is a trigonal crystal system comprised of a continuous matrix of SiO4 silicon-oxygen tetrahedra; each oxygen atom is shared between two tetrahedra, giving a final chemical formula of SiO2. Quartz crystals convert phononic modes and mechanical pressure into electricity through the piezoelectric effect. Through this effect quartz crystals form the control element of oscillatory circuits in modern electronics devices that require high precision frequency sources, such as the central processing unit (CPU) of computers. After an initial stimulation of the piezoelectric axis of the ARK® quartz by a modulated rotating EM field, we theorize that constitutive phononic oscillations driven from vacuum fluctuations will generate an electromotive force and excitation of the quantized EM field by the ARK® crystals. Measurements with an electrochemical impedance spectrometer have shown decreased impedance levels in water: suggesting higher proton mobility from greater geometrical coordination water molecules within the aqueous matrix. ARK® crystals can be used to modulate and order the structure of water and other liquids, such as juices, wine, or even oils and creams. 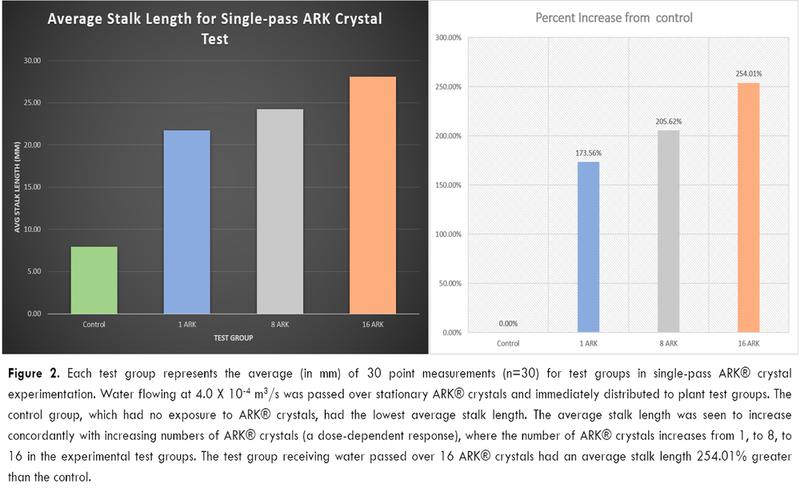 Laboratory testing has shown that these modulatory behavior of the ARK® crystal have beneficial effects on material properties and increased vitality of the biological system. Another exciting application is the modular nature of the frames – in which multiple crystals can be joined together in specific harmonic geometric configurations — unlocking even greater capabilities of the devices.